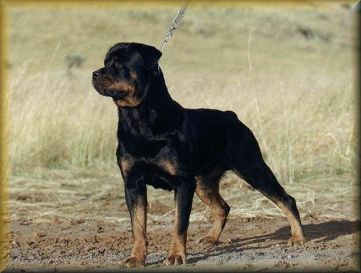 Dokai was the first stud used by my kennel. 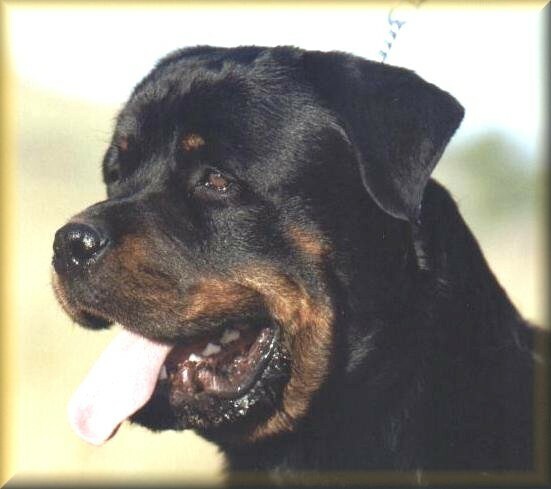 He is one of the best rottweiler studs in South Africa, known to consistently produce his bone and substance. 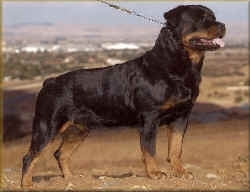 Dokai is a strong, powerful male, with incredible presence and for his size, moved very well. 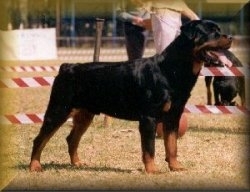 Dokai has won the Junior Grand Victor 2001 and the Grand Victor 2002. Dokai is owned by Pauline Cronja in Johannesburg.